For Vaani and AVIS, their raison d'etre, their ikigai, their Life's Purpose is Inspiring 'Happyness'! All the work they do at their Workplace Happiness Firm www.avinitiatives.co.in is driven by this Higher Purpose. 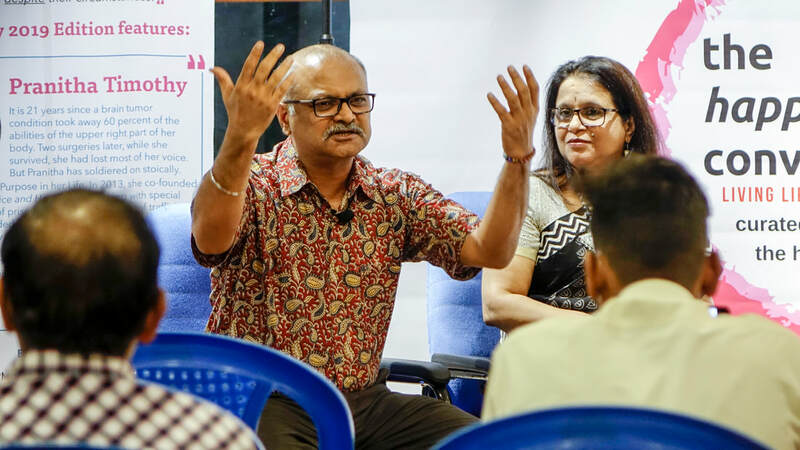 Besides their work as Life Coaches, they lead and curate three, non-commercial, free, by-invitation-only Conversations in public spaces across Chennai. Starting in January 2015, AVIS has so far personally hosted over 100 Conversations that Vaani and he have curated. They invite audiences to pause and reflect - and to learn to be happy despite their circumstances. The AVIS-Vaani Curations are very popular in Chennai. The entire 2019 Season for all their three Conversation Series is already curated and scheduled! "The Bliss Catchers" - Hosted by Odyssey Bookstore - Inspired by Joseph Campbell's 'Follow Your Bliss' philosophy, it is a monthly Event Series where AVIS is in a live conversation with invited guests who have gone on to do what they love doing the most in Life. Click on the button below to view details and videos of previous events. 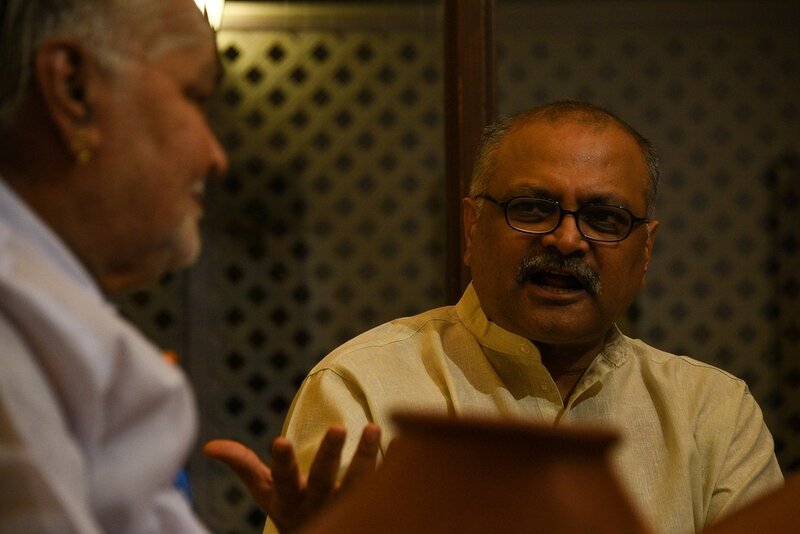 "The Artist's Soul" is a Series of 90-min Conversations curated by Life Coach and Author AVIS Viswanathan at Wandering Artist on the lived experiences and expressions of artists. This is a unique, never-before, Series. You may have seen or heard our guests performing, or you may have seen their work. But this is the first time you will hear these artists talk about their learnings from Life and what inspires their art. Hosted by the Madras Management Association - This is a monthly Event Series where AVIS is in a live conversation with invited guests, who don't necessarily come from business/corporate backgrounds and whose stories are inspirational because they have a teachable point of view. The stories of these guests often demonstrate the power of Reflection, Resilience and Resourcefulness - key attributes of personal leadership. This Series is primarily focused at the business world/corporate sector which is continuously looking for uncommon perspectives on leadership to inspire its troops. It is also for any discerning student of management and leadership. Click on the button below to view details and videos of the previous events. Hosted by Odyssey Bookstore - This is a monthly Event Series where both Vaani and AVIS are in a live conversation with guests who have faced Life's upheavals stoically and from whom we can learn the value of choosing happiness in any situation or context, despite the circumstances. Click on the button below to view details of previous events.